Bosnia is an ancient nation, so the modern Bosnia flag is simply the latest in a line that stretches back to the medieval period. It has one of the most unique designs in the modern world, a yellow right triangle and a line of white stars on a blue field. The three points of the triangle are understood to stand for the three constituent peoples of Bosnia and Herzegovina: Bosniaks, Croats, and Serbs. It is also seen to represent the map of Bosnia and Herzegovina which looks like a triangle or a heart as some people call it the 'heart-shaped nation'. The stars, representing Europe, are meant to be infinite in number and thus they continue from top to bottom. The flag features colors often associated with neutrality and peace - white, blue, and yellow. The colors yellow and blue are also seen to be taken from the flag of Europe, the color blue was originally based on the UN. The present scheme is being used by both the Council of Europe which owns the flag and the European Union which adopted the Council of Europe's flag in 1985. 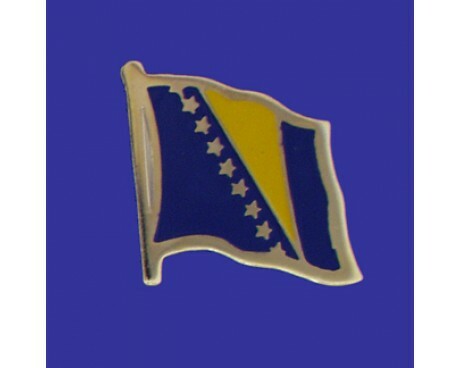 They are also colors traditionally associated with Bosnia. 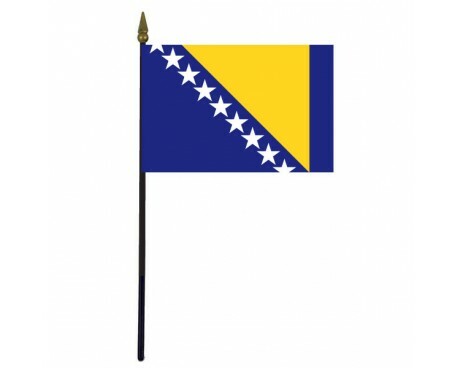 The triangle on the flag of Bosnia represents the three ethnic groups that make up country. It also serves to represent the territory of Bosnia and Herzegovina, which is triangular. The stars on the flag represent Europe, and their arrangement was carefully chosen to suggest that the line would continue forever if the flag was larger. The flag's colors were chosen to represent its connection to the rest of Europe and the nation's desire for peace. 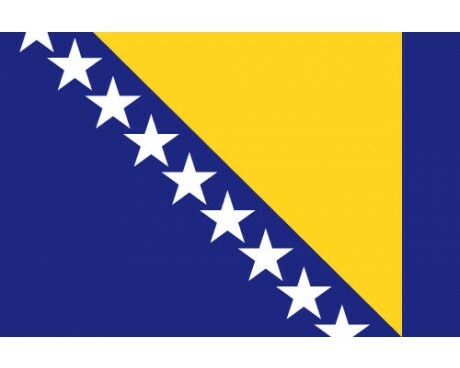 The modern flag of Bosnia bears very little resemblance to most of the nation's historical flags. The ancient kings of Bosnia represented themselves and their country with a coat of arms consisting of six gold fleur de lys on a blue shield. That coat of arms fell out of use when the Ottoman Empire conquered Bosnia and replaced the flag with a green flag with a white crescent and star, which was used by the Empire's governors in Bosnia. A major Bosnian revolt against the Ottoman Empire represented itself with a similar flag. The rebel flag was a lighter shade of green and it both reversed the emblem and depicted it in gold. A variant on the rebel Bosnia flag was used during a brief period of independence that followed the end of Ottoman rule. Bosnia soon became part of the Austrian Empire, which represented it with a bicolor flag of red and gold with a coat of arms in the center. That flag was followed by a solid red flag with the Yugoslav flag in canton when Bosnia became part of communist Yugoslavia. 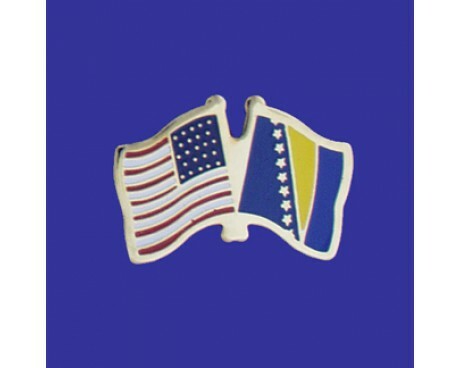 A white flag bearing the nation's ancient coat of arms followed the communist flag when Bosnia regained its independence, and that flag was in turn replaced with the modern flag in 1998 in order to better represent all of the different people in Bosnia.